Built-in intelligence makes installation process fast and easy. By default the whole computers important files are backed up. You can easily change the default settings if needed and choose what files are safe. It works out of the box. Easy to install. 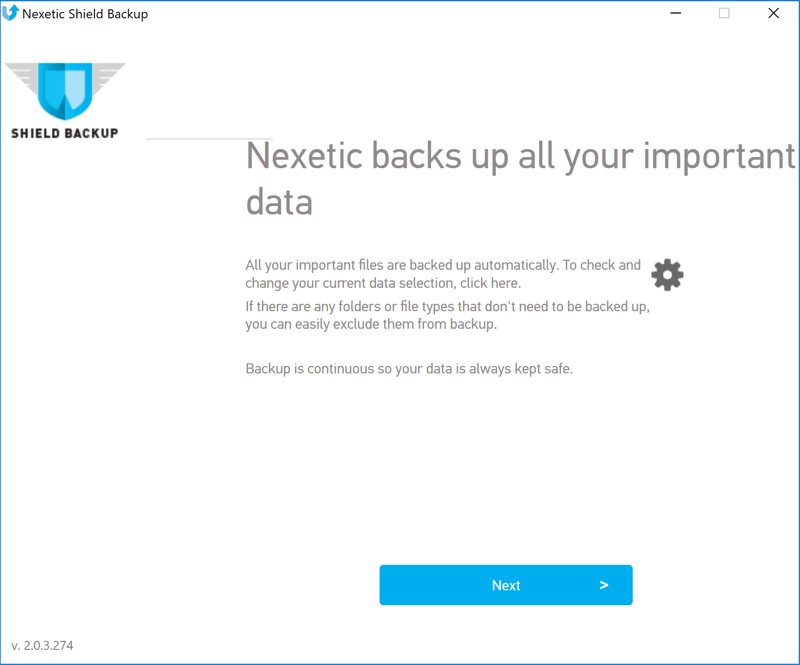 Nexetic Shield Backup is reliable and stable with self-healing capabilities. 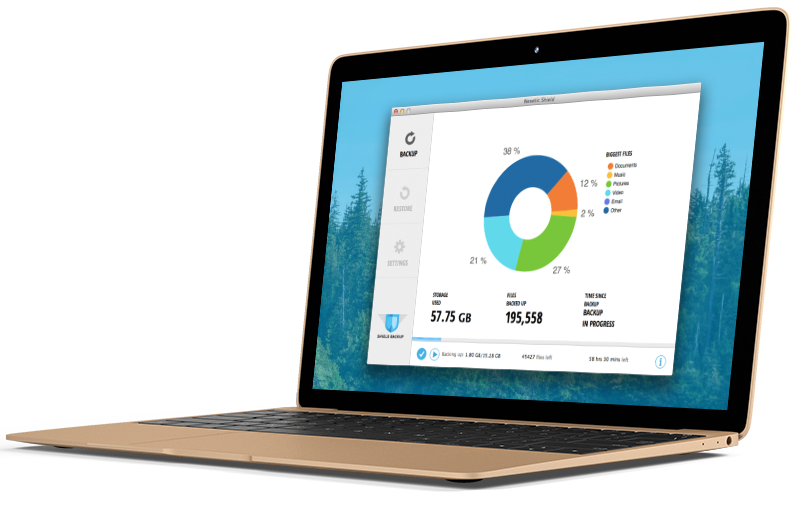 Backup is continuous so all your data is protected always and everywhere. All files are backed up every 15 minutes. 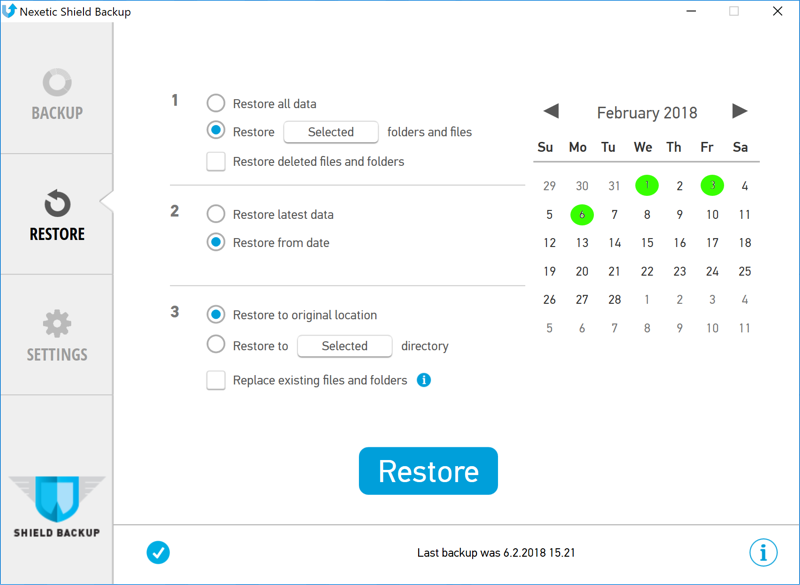 Backup works in background and it doesn't slow your computer. File needs to be uploaded only once. If file is changes, only changed parts of the file need to be uploaded. This saves more than 90% network usage. You never know when disaster happens and you need to restore your information. We have taken several measures to ensure successful and fast restore for you. Nexetic Shield checks that all files are backed up. The data integrity is validated for all data. Multiple copies of backups are kept, just in case. Our data centers are located in Europe. All data is encrypted before it is uploaded from your computer. The Data remains encrypted during transmission and when stored in our data centers. Information is encrypted automatically by a customer-specific encryption key. Only you can access and restore your information. Our datacenters are located in Europe. All data is encrypted before it is uploaded from your computer. Data remains encrypted during transmission and in our datacenters. Information is encrypted automatically by customer-specific encryption key. Only you can access and restore your information. You can see all your company’s computers from the Nexetic Shield Control Panel. You can for example monitor backup, set smart alerts and add new users. For Managed Service Providers we offer MSP Portal with multi-tenant support.